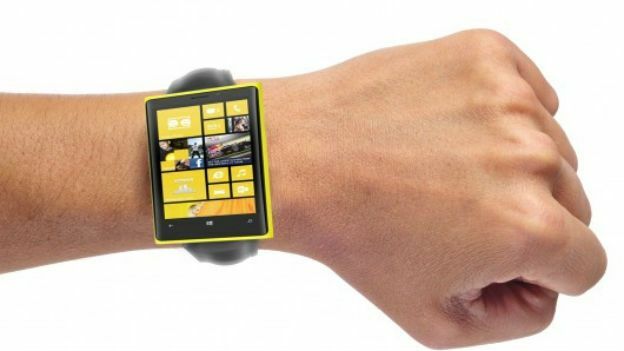 At least that is what the latest Microsoft smartwatch rumour claims. According to WinSuperSite's Paul Thurrott, Microsoft's wearable isn't a watch, but is rather a wristband, much like Samsung's Gear Fit. Thurrott – who is widely considered a leading authority on what goes on behind closed doors at Microsoft – claims that the device will come with a variety of sensors to measure your steps and heart rate. He also echoed recent claims that the smartwatch band will work with Android and iOS smartphones, alongside Windows Phone devices. Rumours of a Microsoft smartwatch first emerged at the tail end of last year when it was claimed that the team behind Kinect was working on a smart wearable. According to the rumours at the time, their “optical engineering expertise” was being called up – in particular – their low power usage. Microsoft reportedly wants its fitband to be able to go without charging for at least two days while its heart rate monitor is always on. That's something that Samsung's Gear Fit certainly can't do. More recent rumours claimed that the screen would be on the inside of the device. We still think that means it'll be on the nearside edge of the device, rather than in contact with your skin. According to Thurrott, Microsoft was hoping to have the band ready for summer. However, it's now looking much more likely it will arrive in time for Christmas.